In cellular agriculture research, development and commercialization since 2013 have transformed the prospects for the future of food production, particularly regarding animal-based agriculture. 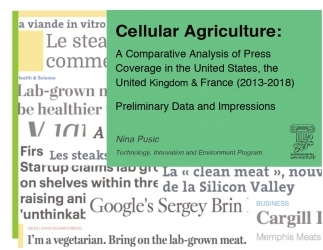 With the first cultured burger taste-tested in London in August 2013, advances in cultivating meat through cellular agriculture have grown and expanded capturing the attention of the press, the public, and investors. The potential for cultured or "clean" meat has been at the forefront of revitalizing thinking about animal agriculture and mitigating its apparent ethical and environmental consequences. 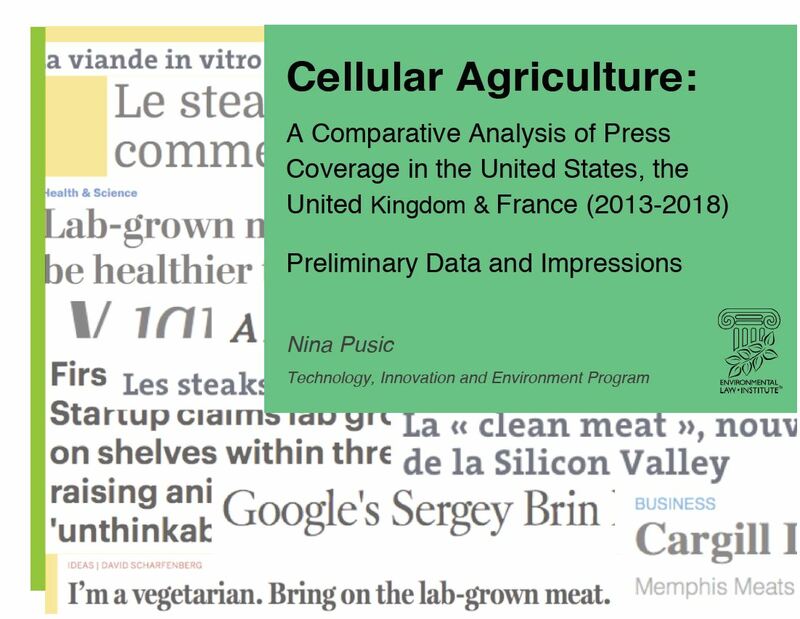 This document provides an overview and analysis of press coverage of cellular agriculture in the United States, United Kingdom, and France from August 2013 to July 2018.